Last month, AT&T finally said they’d unlock off contract iPhones. 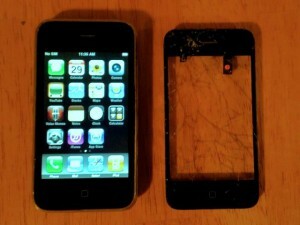 I decided to try and get a used iPhone 3G as a spare and to test out the whole unlock process. I found a 3G cheap on ebay with a broken screen. The seller claimed that the screen, and a somewhat unresponsive home button were the only problems, so I thought I’d give it a shot. I found a kit on Amazon that included the glass, digitizer, and home button pre installed, that had some good reviews and the price was certainly right. I timed it so the kit arrived almost the same time as the broken iPhone. I first verified the iPhone worked and then proceed to take it apart using the ifixit manual as a guide. not being very responsive. I read some of the Amazon reviews and a few other people had this same problem and suggesting putting a little strip of electrical tape under the connectors to help give it better contact. I gave that a try and sure enough it worked, so I now had a fully functional iPhone 3G on the cheap. The next step now, was to try and get it unlocked. I first double-checked that it still had a stock baseband as some of them have the iPad version to attain a hacked software unlock. Luckily, this phone appeared to have never been jailbroken or software unlocked. The process was fairly simple. I logged into my AT&T account from their website, and went to their online chat support. Before the chat started, I had to fill out a few fields and in the comments, I stated that I bought a used iPhone 3G on ebay that I wanted to see about getting unlocked and included the IMEI number as I knew that they needed that. The chat session began and the service representative verified that I wanted the iPhone unlocked. They checked my account and also made sure that the iPhone was not tied to a on contract customer, asked for my email address, said they’d be contacting me and that was it. The whole process took about 10-15 minutes. They also stated that it would take 7-10 days before the unlock process was finished. The next day, I decided to try an iTunes restore in the morning to see if by chance it had been unlocked yet, but I did not get the unlock screen. I decided to try one more time in the afternoon and by some chance, it worked. I received the following message in iTunes after that restore. The last thing I need to try now, is a friends T-Mobile sim card to verify that it is working. I should be doing that later this week. Not only does unlocking increase the base value of the iPhone, but now this iPhone can be used as a world phone. All you’d have to do while visiting another country, is buy a prepaid sim card in that country and avoid paying the high international roaming charges. I still haven’t received the email from AT&T that the unlock is ready, but I imagine the process goes from AT&T to Apple, Apple inputs the IMEI into their database for unlocked phones, and then notifies AT&T when it is finished. AT&T probably waits a couple more days on top of that just to make sure that when they send out that email, the unlock notification shows up first time, so they don’t get reoccurring support calls from impatient customers. As expected, Tim Cook, yesterday unveiled “The New iPad.” I won’t go too much into all the little details, but basically it has upgraded specs, which include: faster processor, quad core graphics, better camera, 4G LTE on the cellular data model, and voice dictation. 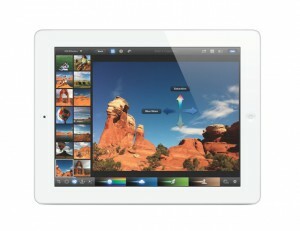 However, the biggest visual improvement is the new “Retina Display”. The iPad now has a resolution of 2048×1536 with 264 pixels crammed in every inch as opposed to 1024×768 with 132 pixels per inch like the iPad 1 and 2. Like with the iPhone, they are using the term “Retina Display” which by their definition, means that a user should not be able to discern the individual pixels in the screen from normal reading distance. This should make the screen easier to read and photos appear sharper. 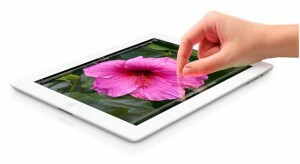 Also, the new display can playback 1080p HD video at full resolution which the previous iPad could not do. In my opinion this display is the “killer feature” of the new iPad and is certainly the area that competitors will need to catch up with if they want to compete. The other major new feature, which I mentioned above. is the inclusion of 4G LTE in the cellular model. This is the first true 4G device that Apple has released and I think this is a good indication that it means the next iPhone will have it too. Verizon right now has the larger 4G coverage, but based on tests, AT&T appears to be faster. I’m an AT&T user, so I’m curious to see how quickly they can expand their 4G network this year. I believe right now they are in about 25 cities with the service and right now Utah isn’t included in any of those. The last new announcement on the software side, was a version of iPhoto now available for the iPhone and iPad. The demo of this looked great and it is available now for $4.99. I will most likely be buying it soon. Basically, you can make all kinds of photo adjustments with simple gestures and swipes. There’s been photo apps that do these things before, but I would say this appears to be the easiest and most intuitive one I’ve ever seen to date. The last question is, am I going to get one? 🙂 More so over the 2, I feel that it is well worth the upgrade just for the display alone. I managed to sell my 2 model last week for a decent price and am getting the new one. After a few hours in wrestling with Apple’s website, I was able to get my preorder in. I did decide to make a little change in my model choice though. For the past two models, I’ve gone with the cellular version. I love being able to use the iPad wherever I am even if wifi isn’t available. I’ve used the AT&T 200mb plan which was $15 a month and that has been adequate for basic web browsing when out and about. However, with AT&T recently announcing that they cap unlimited iPhone users at 3GB and me never having gone over that anyway, I decided to look into their tethering plans. I found out that for $20 more than what I was currently paying, I get 5GB of data and the ability to tether. I figured that getting 5gb of data to share between my iPhone and iPad was worth giving up the “unlimited data,” which I do realize is what AT&T wants too. 🙂 When I’m out and about, I will have to do the extra step of enabling the hot spot feature on my iPhone, but I think it will work out okay. 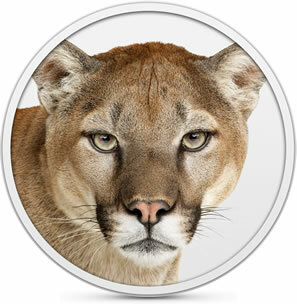 OS 10.7 Lion was released just 7 months ago and in a shocking move, Apple announced OS 10.8 Mountain Lion today. When I first heard about this from the tech sites this morning I actually thought it might be a joke or parody. However, when I got to work. sure enough Apple had a web page dedicated to the forthcoming OS. It has been awhile since Apple announced anything that didn’t have some kind of a leak, so in that regard it was nice to be surprised by Apple again. The update appears to be incremental just like the one from Leopard to Snow Leopard. In my opinion, the main focus seems to be more about adding some of those missing links of getting data between your iOS devices onto your computer with iCloud. They’ve added messages, reminders, notes, game center, sheets, and twitter integration. All of these were on iOS devices first, but they are a welcomed addition. I’m looking forward to all of these. 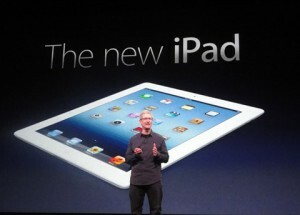 but the ones that I’m most excited about are the new messages app that replaces iChat, and airplay for the mac. The main change with the messages app is that you can now send and receives iMessages on your computer. An iMessage is basically a free text between your iOS devices. Before iOS 5, I used google voice for my main texting. It had a nice web interface on the computer that you could use for this same type of functionality. However, I always preferred the text messaging app built into the iPhone, so when iMessage came along I switched over to using that among the people that I knew that had iPhones. However, I missed that when I heard my phone buzz, I couldn’t just see my message on my computer and reply from there. Instead I had to reply on my iPhone or iPad. Now, I have the ability to reply to iMessages right on my Mac. The great thing is that this program is available today in Beta form, which can be installed on Lion, so I’m using it right now. The other feature I’m excited about, is Airplay. With the iPad 2 and iPhone 4S, airplay allowed you to send the entire screen of those devices to an Apple TV. Now, they are adding that ability to the Mac as well. So basically you can send a game, movie, presentation, etc over to your T.V. Gone are the days of having to hook up cables, figuring out resolutions, etc to get your computer to display properly on a T.V. 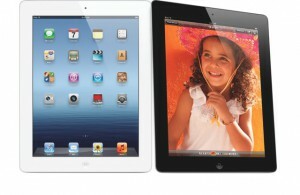 Apple has stated that Mountain Lion will be available this Summer, so roughly a year after Lion was released. There is some speculation that they might even make it free, but even if it stays at the $29 price of Lion, I don’t see a reason not to upgrade. Here’s the link again to see some more screenshots and some of the other details as to what is new.